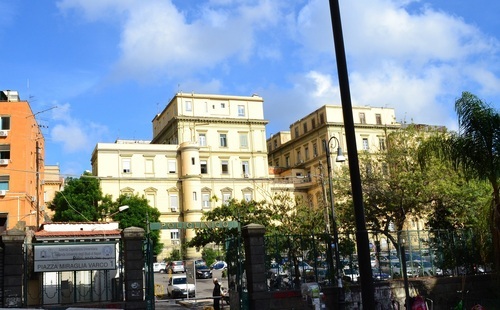 The Primo Policlinico di Napoli is located in the old part of Naples (Piazza Luigi Miraglia, 2). It was built starting from 1899 according to the engineers' plans of the "Società pel Risanamento" Pier Paolo Quaglia and Guglielmo Melisurgo. The construction's plan was approved from the City Council in 1896 with the resolution which called for the renewal and the modification of the "Complesso di S. Andrea delle dame" and the "Complesso di S. Patrizia", as well as the construction of the six buildings for clinics of the Medicine's Faculty in the area between Via dei Tribunali and Via Sapienza. 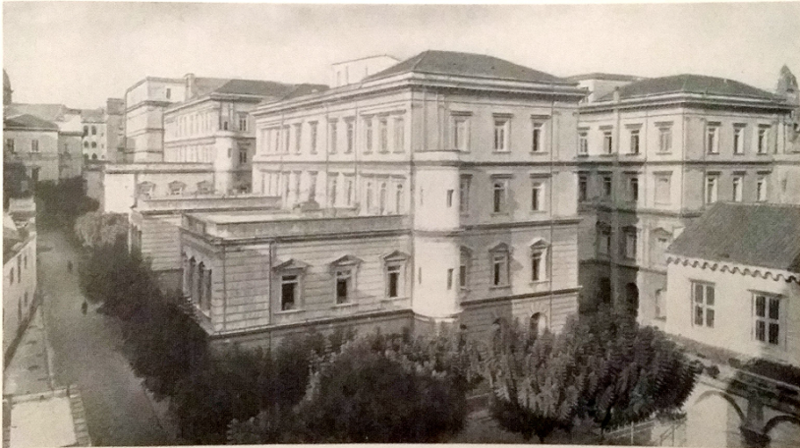 The construction was completed in 1907. 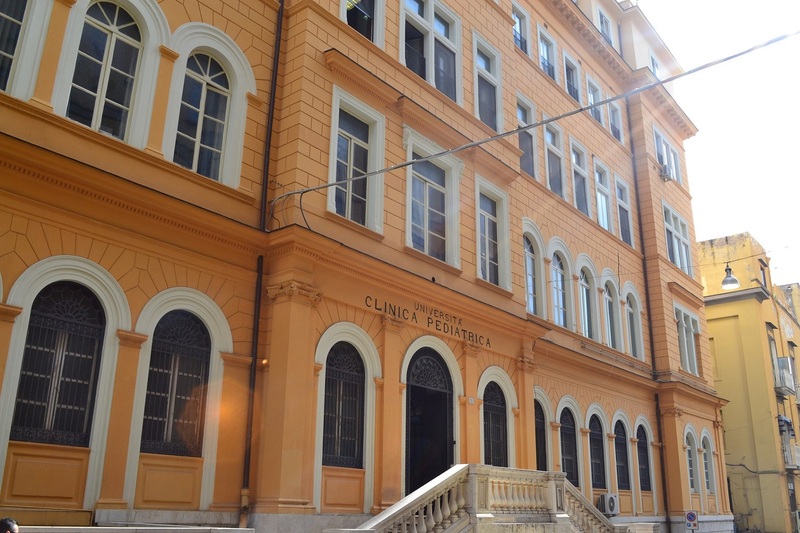 Until the 1970s this was the only hospital in the city. 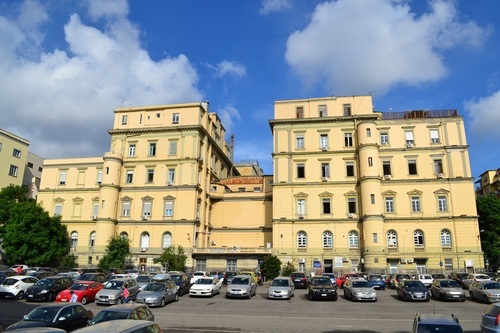 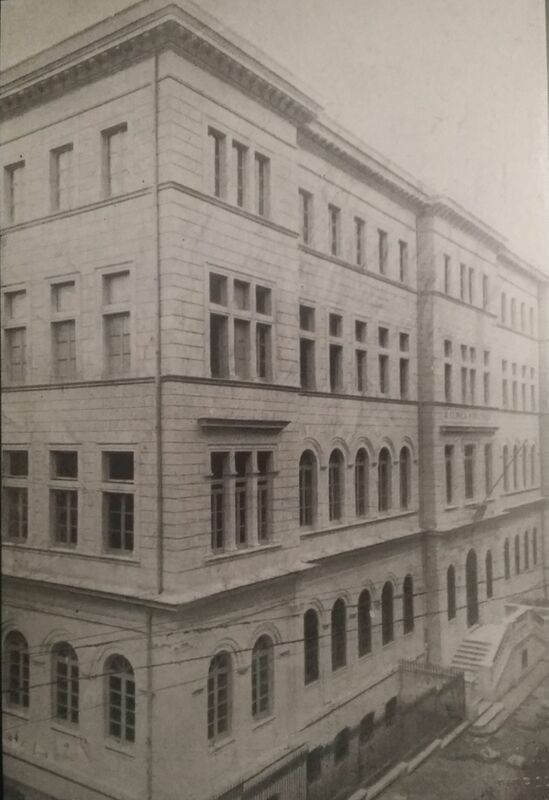 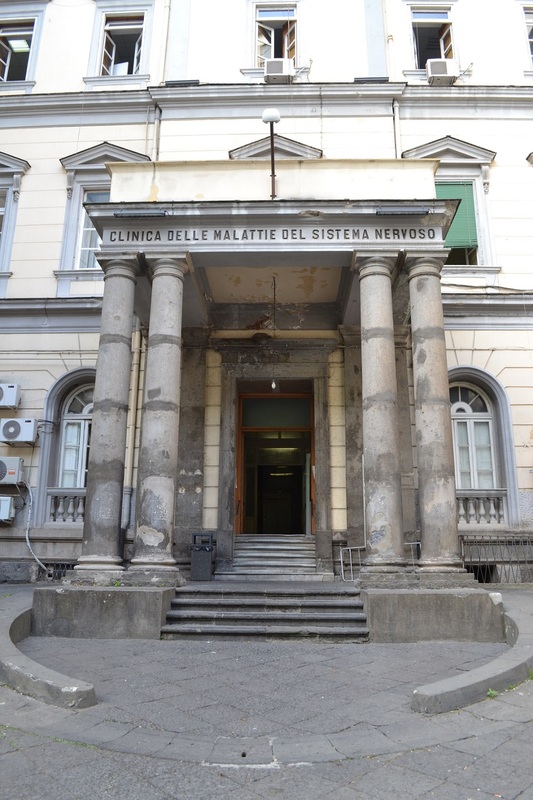 In the Melisurgo and Quaglia's draft it was also provided the construction of the new clinic "Clinica Pediatrica" in the "Insula di San Gaudioso", whose construction only began in 1924. The designers took the requests and suggestions of the clinic's director Professor Rocco Jemma into account. 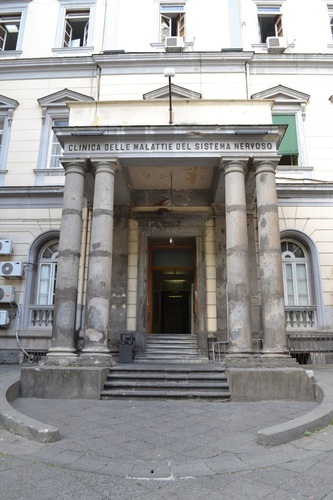 The clinic was opened in 1926. 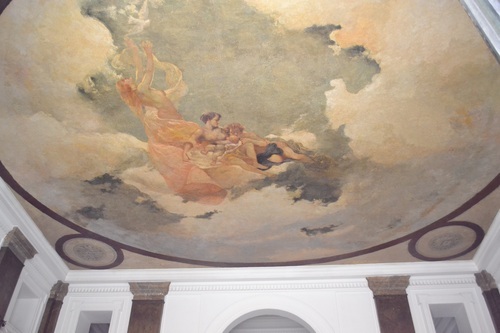 In 1927 Giuseppe Aprea, design's professor of the Accademia delle Belle Arti di Napoli, completed the great decoration of the main hall's ceiling. Aprea devised for the central round a delicate maternity, tying the meaning of the painting to the function of the building. The entrance hall of the "Clinica Pediatrica"
Giovanni Aprea's fresco in the entrance hall of the "Clinica Pediatrica"
Photos by Massimo Russo ti.liamtoh|59ossuromissam#| (October 2014). 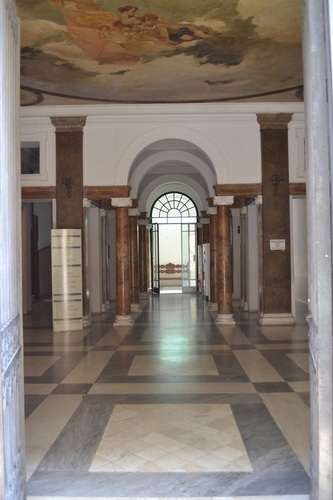 Giosi Amirante e Rosanna Cioffi (a cura di), Dimore della conoscenza. Le sedi della Seconda Università degli Studi di Napoli, Edizioni Scientifiche Italiane, Napoli 2010, pp. 255.